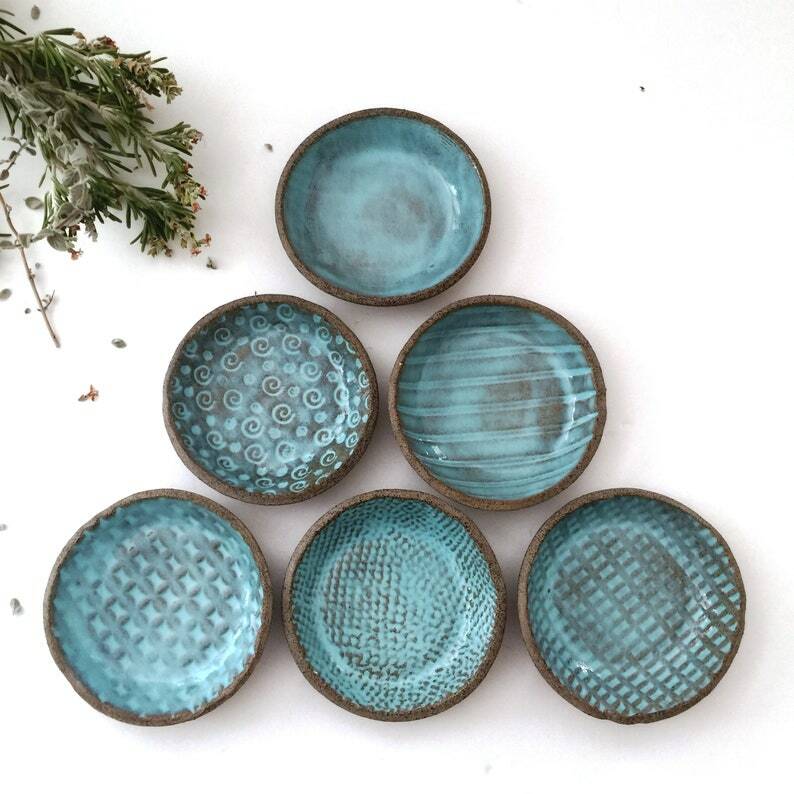 Set of 6 small ceramic plates of the "Winter Wonders" collection in gray and shades of blue. All items are handbuilt from scratch, using environmentally safe and natural materials from sustainable sources. * Size of each ceramic bowl is about 3.5” diameter (9 cm) and 0.78" (2 cm) deep. * Price is for a set of 6 bowls. * Handmade of natural clay, designed with different textures and glazed in lead-free food-safe glaze. * Hand built using slab technique / method. * Kiln-fired at a high temperature of 1200°C (stoneware). This design comes in Turquoise, Light Blue and Green. I have only few ready to ship, however I can make more of this design. Due to the handmade process each ceramic piece is a little different but just as beautiful!